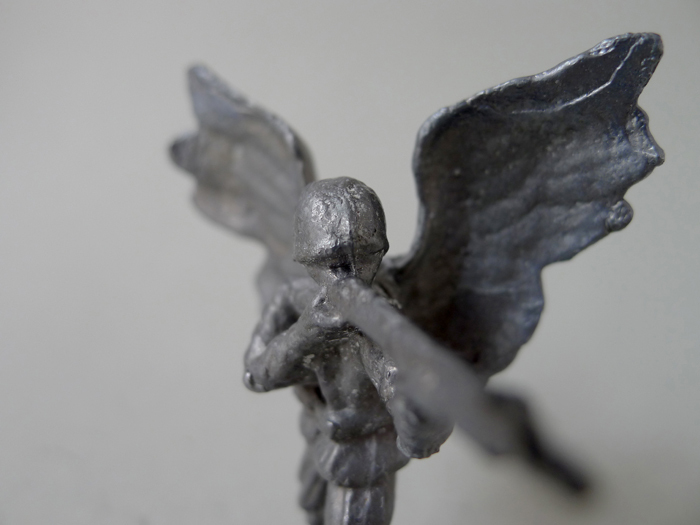 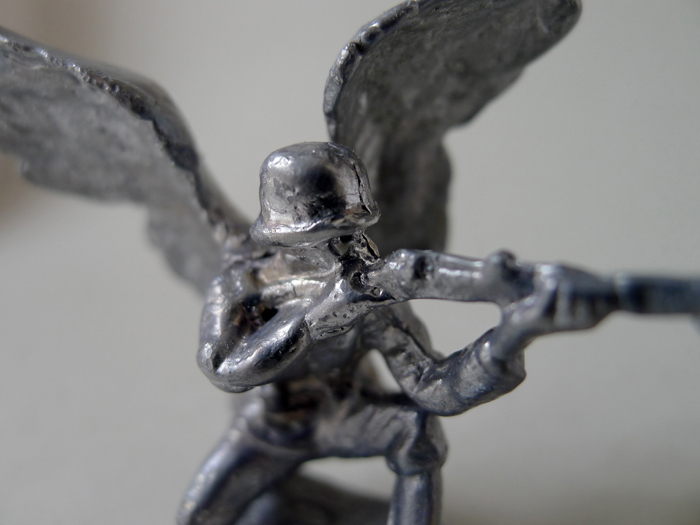 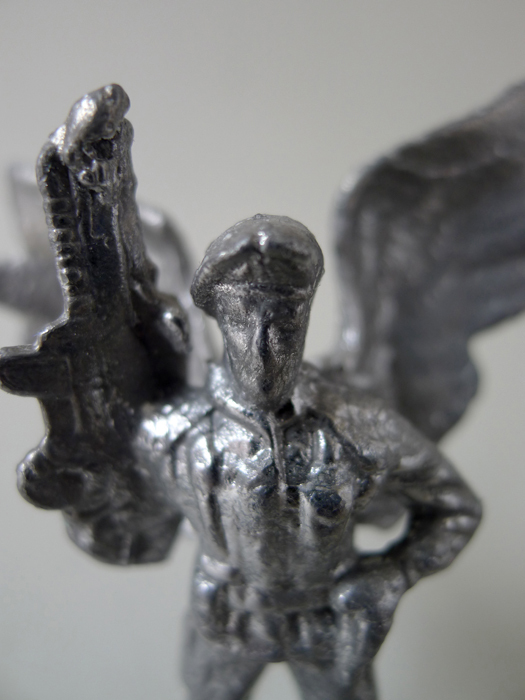 These miniature sculptures combine a selection of archetypical toy soldiers with wings of a Christmas tree angel. 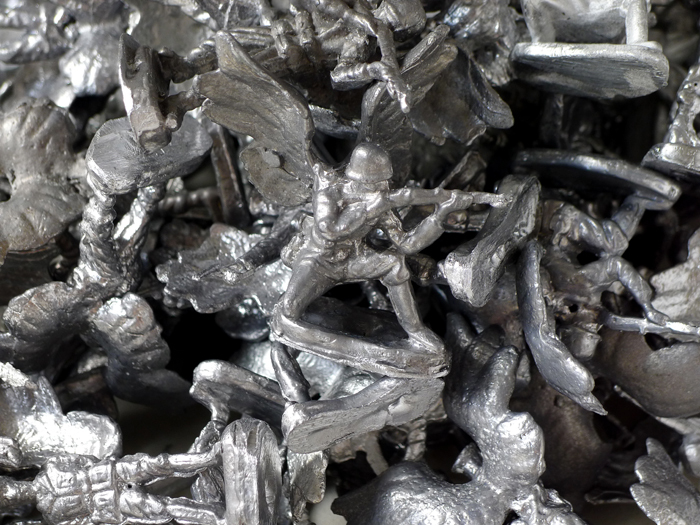 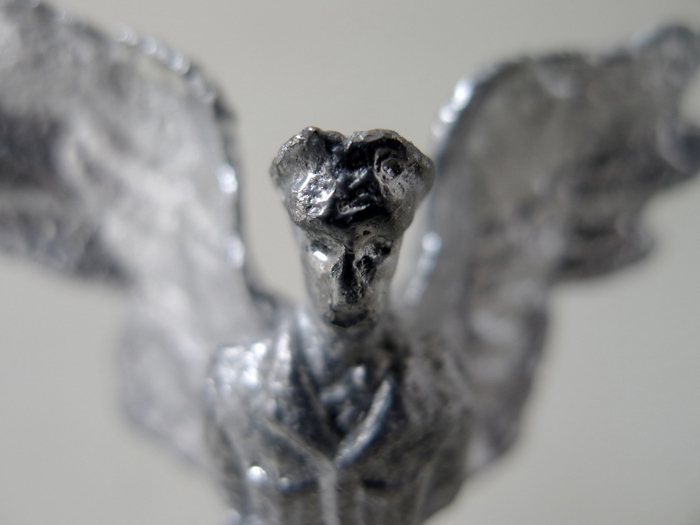 The ‘Fallen angels’ are cast by hand using a traditional technique called ‘drop casting’. 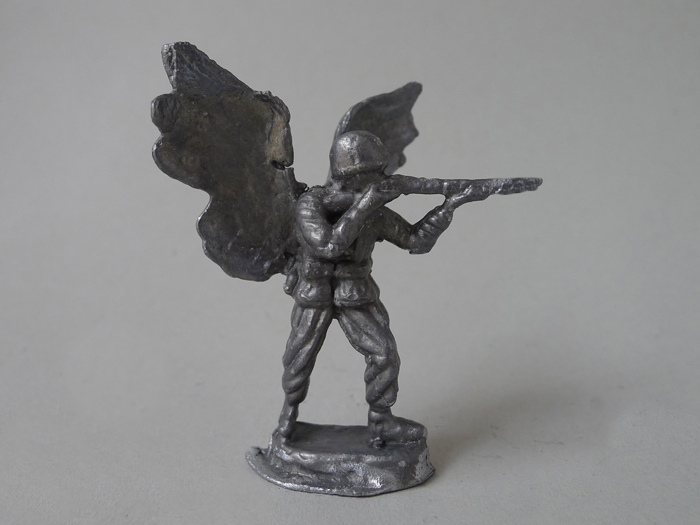 Ironically, this technique is not only used to make miniature toy soldier, but also bullets. 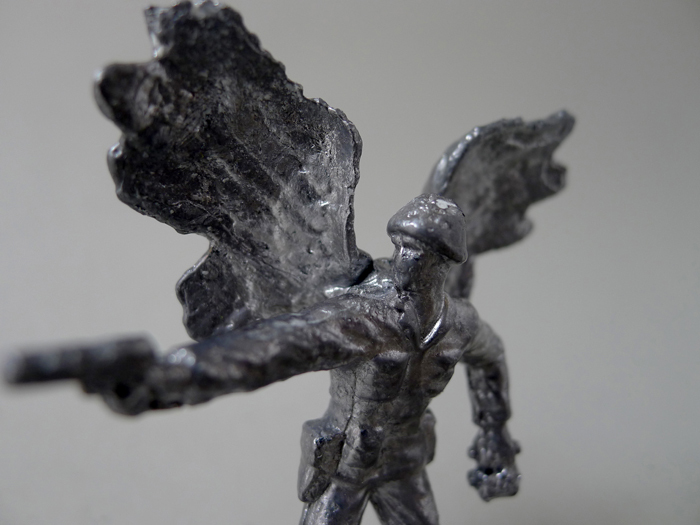 Though the soldiers may seem uniform, each soldier is unique because of the individual imperfections, subtle differences in alloy (tin / lead) and changes in temperature during the process of casting. 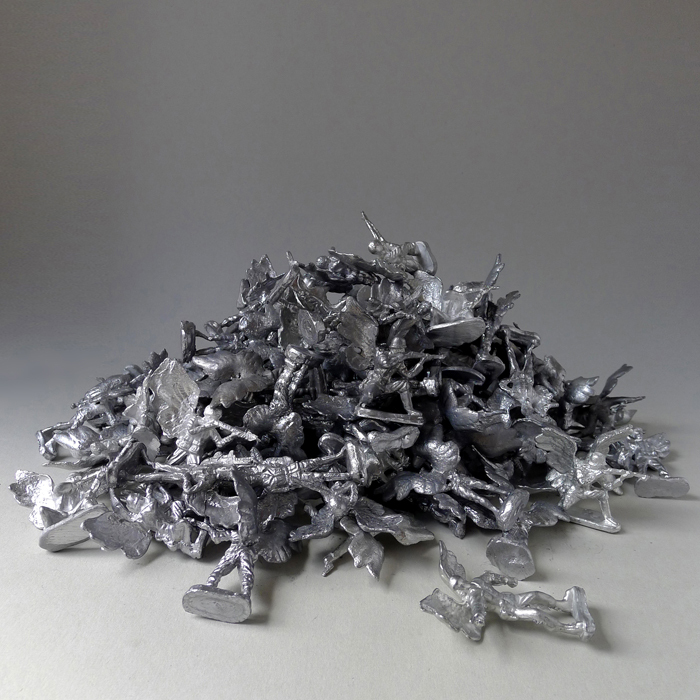 are no toys and therefore not suitable for kids.